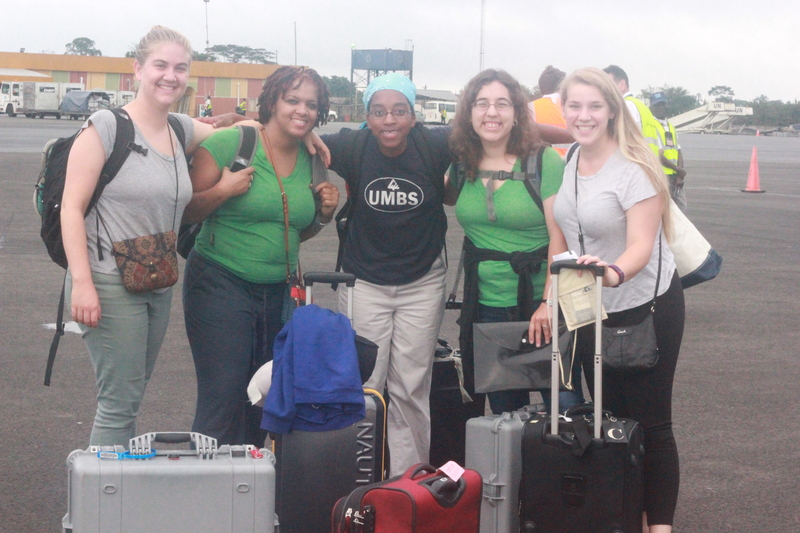 The U-M early team arrived in Liberia late on Wednesday, 10 August 2016. We are staying near Barnersville junction with one of the L-SWE students. Her family has been super nice these past few days. Our first full day in Liberia was spent signing people up for the 2016 L-SWE SUCCESS camp. 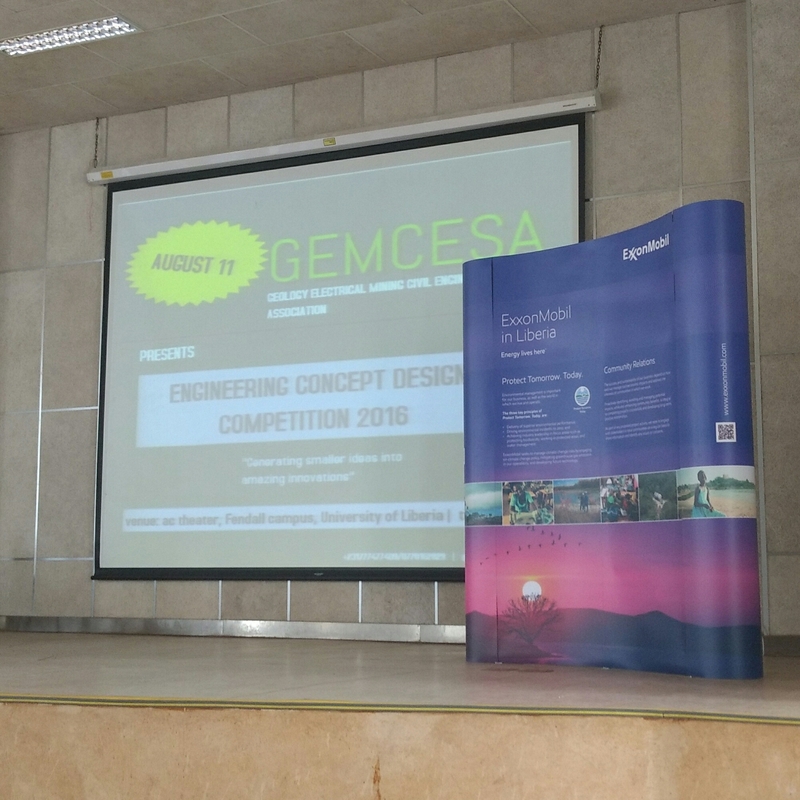 We visited the University of Liberia – Fendall Campus and watched the Engineering Concept Design Competition organized by GEMCESA (Geology, Electrical, Mining, and Civil Engineering Student Association at the University of Liberia) and sponsored by ExxonMobil and E-HELD (Excellence through Higher Education for Liberian Development). 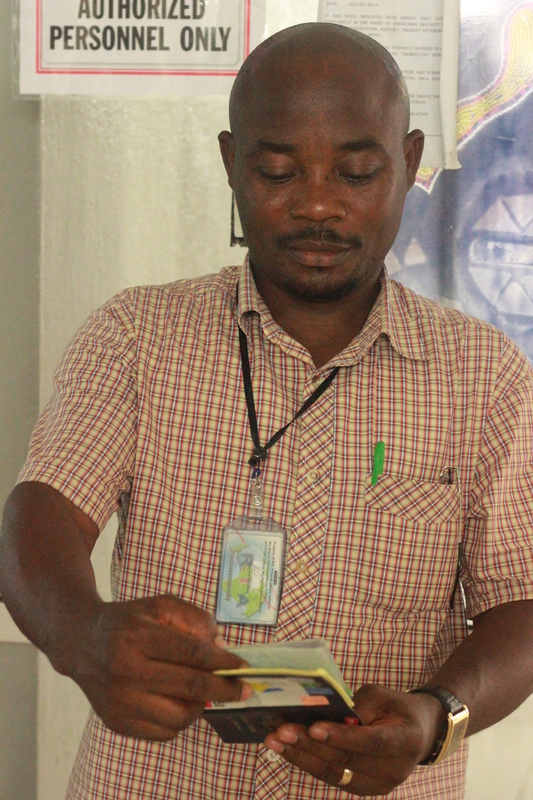 It was quite interesting to see the innovative ideas that the four Liberian project teams imagined. Everything from a car made entirely of Liberian-sourced parts to a set of waterways to improve transit to the Liberian interior. We also visited the site of the 2016 camp, Rick’s Institute. It is a nice facility and we will share more photos during the camp. 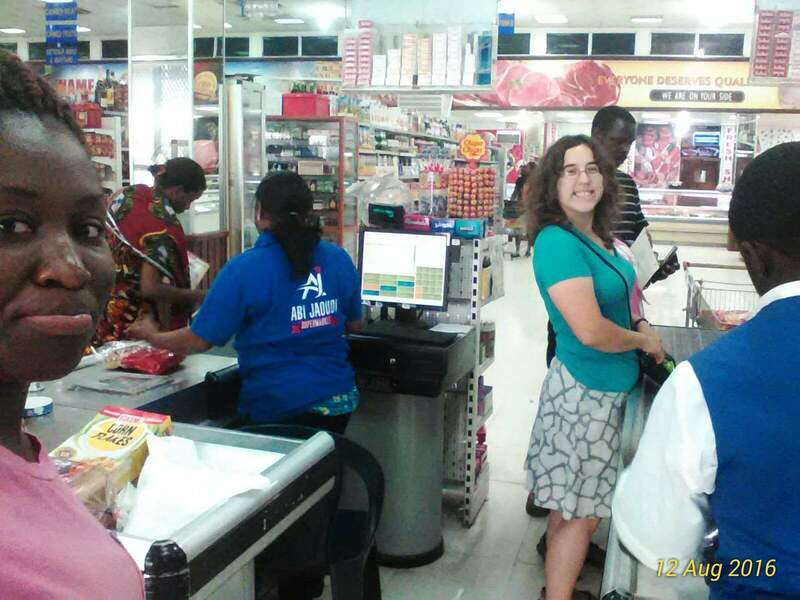 The second day in Liberia was a purchasing day. We bought all sorts of supplies for camp. We spent American and Liberian money. 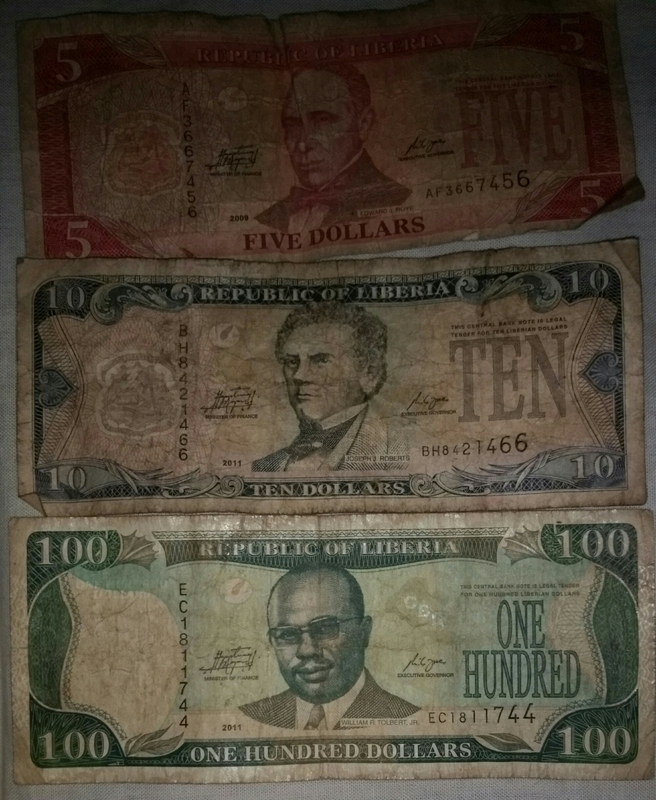 Liberian dollars are called Liberty. One USD is anywhere from 80 to 100 LD depending on the exchange rate. You can buy lots of things in Liberia in the capital that you would find in the States. They have everything from small roadside markets to bigger indoor grocery stores. We even visited a small store that was like a Liberian Costco – they only sold things by the case/carton/box. On the third day (Saturday, 13 August 2016), hosted a pre-departure meeting at the E-HELD office on Old Road across from the Nigerian Embassy. We discussed expectations for the camp and answered questions. Today (Sunday, 14 August 2016), the rest of the U-M team arrives. You will hear from them during the next two weeks. We cannot wait to share all of the great things that will be happening at the camp. The women engineers in Liberia are truly incredible. I, for one, cannot wait to meet more of them! *”Now now”: Liberian english for right now… like, really we actually did it this time. Now now! Cold showers. Spicy spaghetti. Cloudy skies. Sunny smiles. An afternoon of children’s games. Wifi!! So starts the first day of the L-SWE Success Camp! We were so excited. Finally, after over two years of anticipation, preparation, and a few setbacks, the leadership camp for women engineering students in Liberia was finally underway. We’ll chronicle our experience over the next few weeks on this blog, as well as our Facebook, Twitter, and Instagram accounts. It’s kinda a long story– read our previous posts about the very beginning. 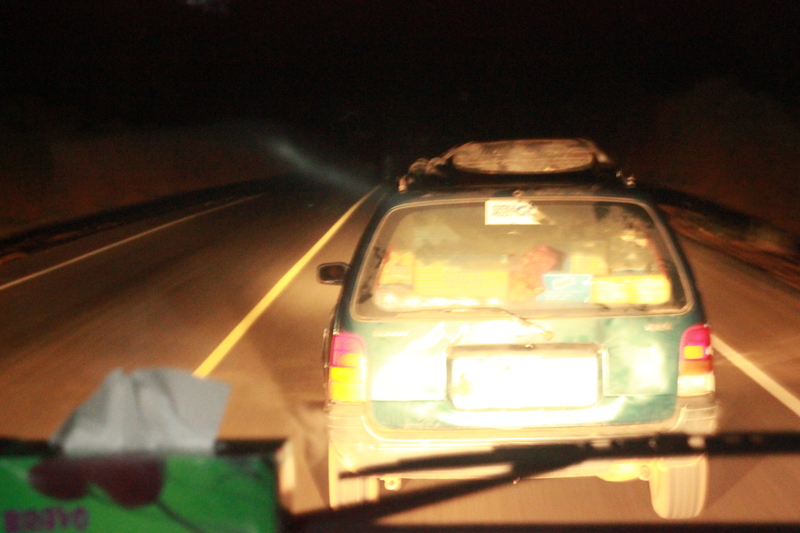 In this chapter, the U-M team arrived on Tuesday evening in Liberia after over a day and a half of travel. 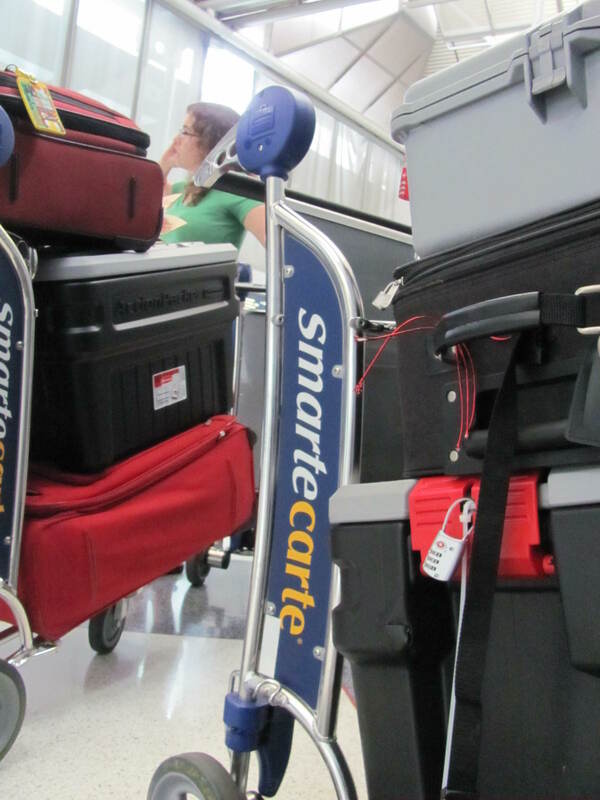 Starting in Ann Arbor, the trip started at 9:00am on Monday with 6 of us packing up two SUVs worth of luggage– a personal bag each, plus supplies, giveaways, and– of course– snacks. After some Tetris!-worthy packing, we set off for what would be a five hour drive to Chicago, one of the few airports in the U.S. that accepts travelers from Liberia. Fortified by Maggie’s scones, we beat Chicago rush hour to arrive at the airport with just enough time to check our 12 pieces of it’s-only-51lbs-please-don’t-charge-me bags and boxes, return the rental SUVs, and get all twelve of us through security in time for boarding. Our flight to Brussels took off on time at 5:55, wonderfully half full because a connecting flight was delayed. (bad for them, good for us!) After a bumpy 7 hours, we arrive in Brussels around 8am, where we met Allisandra, coincindentally doing laps around the terminal to stretch her legs. Most of the team had never met Bre or Allisandra in person before the day of the flight, but somehow it was like we’d been together all along. After a couple hours wait, we boarded the plane for Liberia, and after another 5 hours, landed safely in Monrovia. Somehow, we lost Allisandra as soon as we got off the plane. But the airport had only one gate, so we were pretty sure we would find her at some point. We all got through immigration and customs with no problems (it might’ve helped that we had USAID prominently duct taped to all our boxes). We were reunited with Allisandra outside, who had been rescued by Sahithya and Edith, who had been waiting outside with the bus we would be using for the camp. We also bid farewell to Allison, who unfortunately had to cut her trip short to return home to be with her family (see Allison and Sahithya’s post about the L-SWE Advance Team!). On a personal note, it was surreal for me to finally be on Liberian soil. After having traveled to Sierra Leone in 2013, being back in region felt like returning to a familiar place. The air, the trees, the houses, the people– it all seemed so comfortable, as if I had never left. I hardly felt like I had left the US, although the palm trees and “Ebola is real” signs everywhere beside buckets of soap and water indicated otherwise. 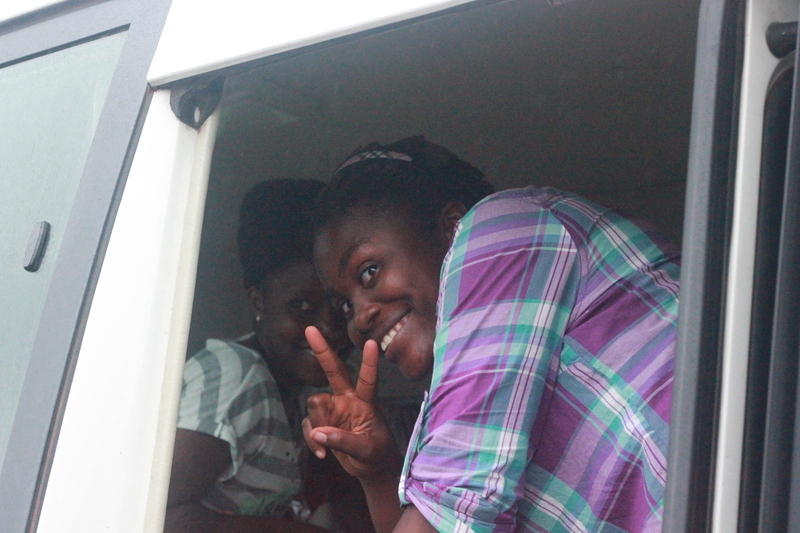 We picked up several of the Liberian students on the camp planning committee on our way to our campground. Sara and Sahithya greeted old friends, and some people who had become Facebook penpals got to meet each other for the first time. The UM team was dead-tired after our long trip and the time difference, but the Liberian girls were so excited that it gave us a tiny bit of energy (but, I’ll admit, I fell asleep during the ride.) After dark, we finally came to our camp site, the Peace Corp Training Center in Kakata, a suburb of Monrovia. The kitchen ladies were patiently waiting for us, with dinner hot and ready. Delicious spiced chicken, plantains, and green salad awaited us, with a side of pepper sauce. We all dug in as if we had starved for days, and finished up *convinced* that, if nothing else, the next 3 weeks would be delicious. After dinner we got a short orientation around the Peace Corp campus and stashed our bags in our rooms. For all the families of the UM team reading, this is a NICE PLACE!!! Comfy dorm style rooms fit 12 girls each, 2 bathrooms with hot water, showers, and pressurized toilets, plenty of “pure” drinking water (cool for drinking & hot for tea), and most importantly for this generation– reliable power and wifi. The enclosed campus contains the dorm, a dining hall, housing for the staff, a classroom, a couple gazebos for outdoor lounging, and plenty of green space for outdoor activites, and– most importantly for our beloved parents– 24 hour security guards to keep your babies safe. After our orientation, most of us, myself included, impatient for the hot water took cold showers and it was lights out on our first day. Sara and Sahithya, ever diligent, stayed up for a couple more hours to do some logistics planning. We were expecting to hit the ground running, with the first batch of Liberian camp participants arriving the next morning at 11:30am. See how Day 1 goes in our next post! 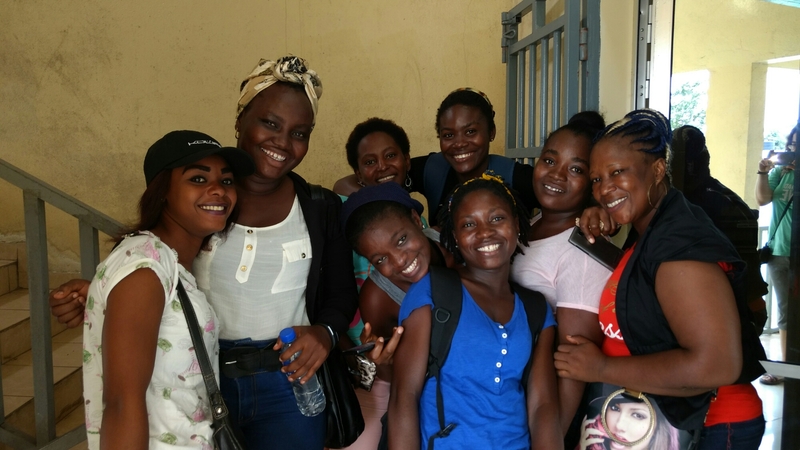 One of the main purposes of our trip to Liberia was to encourage the Liberian female engineering students and help connect them (and ourselves) to local engineering professionals and instructors. We thought the best way to do this was to host a “Professional Interactive Dinner” and invite as many female engineering students and professionals as we could. When we landed in Monrovia on Wednesday, 17 June, we had no venue, about 15 students, and less than 5 professional guests lined up. With the great help of our Liberian collaborators, we were able to get all the preparations done for the dinner in less than 5 days. On Wednesday, we and L-SWE started inviting Liberian students to both a networking workshop on Sunday, 21 June and the dinner on Monday, 22 June. On Thursday we met with E-HELD and invited their team. We also had a short list of professional engineers and other supportive professionals and began to call them. 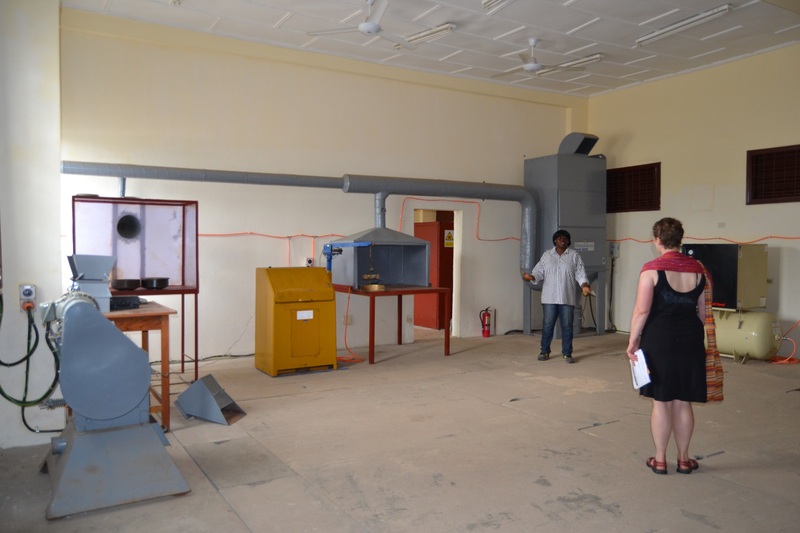 On Friday, we visted University of Liberia and invited Dean Ophelia Weeks from UL and numerous faculty. On Saturday, we met the Society of Women Engineers of Liberia (SWEL) women and invited them and the Engineering Society of Liberia. We even invited people from iLab Liberia on Monday morning. All of our meetings went better than expected. Liberia is a truly marvelous place with genuine and warm people. Even on such short notice, we were able to meet with every person we wanted to and each one promised to try and attend. This would not have been possible in the States where everyone keeps such a strict schedule. Someone who can be a role model. After a good discussion on the value of networks, we passed out the list of professional attendees and discussed how to network. In small groups, we thought up questions to ask the professionals in order to learn about their careers and journeys. We also talked about how although networking can be hard and socially straining, with lots of practice it is extremely helpful in your career and life. When networking, focus jot on the immediate return but on building a long-term relationship. All in all, the students left with much more confidence on how to network with both professionals and students. We had 25 students from University of Liberia and 10 from Stella Maris Polytechnic attend our workshop. By discipline, there were 8 Electrical Engineers, 9 Civil Engineers, 4 Mining Engineers, 12 Geologists, and 3 Architecture / Construction students. Our second component was to introduce the students to the larger Society of Women Engineers (SWE) organization. The students were amazed to learn that SWE has over 30,000 members who are mainly women engineers. SWE is now going international with the creation of two new structures: SWE Affiliates and “Friends of SWE“. SWE Affiliates are groups of international dues-paying SWE members. It only takes 4 SWE members to start an affiliate! These affiliates have similar structure to professional and collegiate sections in the States. Individual members are eligible for SWE awards but affiliates are not eligible for section awards. Students and professionals can join affiliates. 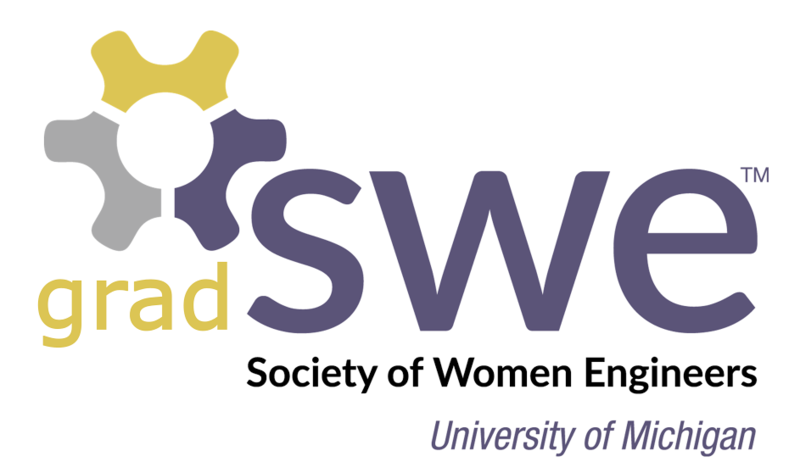 “Friends of SWE” is a new FREE program for university students studying all disciplines of engineering and technology outside the United States. As a “friend” of SWE, students get access to member pricing, SWE publications, outreach materials, and carer center. We signed up 8 new “friends” of SWE. Lastly, SWE has created a new international online community located at international.swe.org. It contains places for forums, questions & answers, blog posts, and other good international resources. Overall, many seemed excited about connecting with the international community. The highlight of the entire trip was the Professional Interactive Dinner on Monday, 22 June. We hosted it at the restaurant FuZion D’Afrique, which is an African fusion restaurant located at 14th street and Tubman avenue across from the Lutheran church in Sinkor, Monrovia. The owners were extremely helpful and were able to accommodate our group of 65 with a buffet and specially arranged tables. Coincidentally, the owner’s wife grew up in Dearborn, MI and attended University of Michigan and Wayne State University. Small world! The dinner was arranged to have the students arrive at 5 pm and the professionals at 6 pm and conclude by 8 pm. But, this is Liberia where meeting times are a suggestion and traffic is a mess. Most students showed up about 6 pm and most professionals arrived by 6:30 pm. We were on Liberian time for sure. The women who attended the dinner were remarkable. The students were actively engaging the professionals and asking for advice. Students from different universities were getting to know one another. The male professionals were kind and supportive. Everyone was genuinely thankful and happy to be there. There was not a disinterested person in the place. We had a fantastic turn-out. Every single student who signed in at the networking workshop attended the dinner for a total of 45 students! Our 20 professional guests included representatives from E-HELD/RTI, faculty from University of Liberia, members of the Society of Women Engineers of Liberia and the Engineering Society of Liberia, professional engineers, a high school educator, and other organizations such as iLab Liberia, Liberians Encouraging Students in Science and Technology (LESSAT) and the Ministry of Education. It was overwhelming for us to watch the students be full of such joy and confidence. 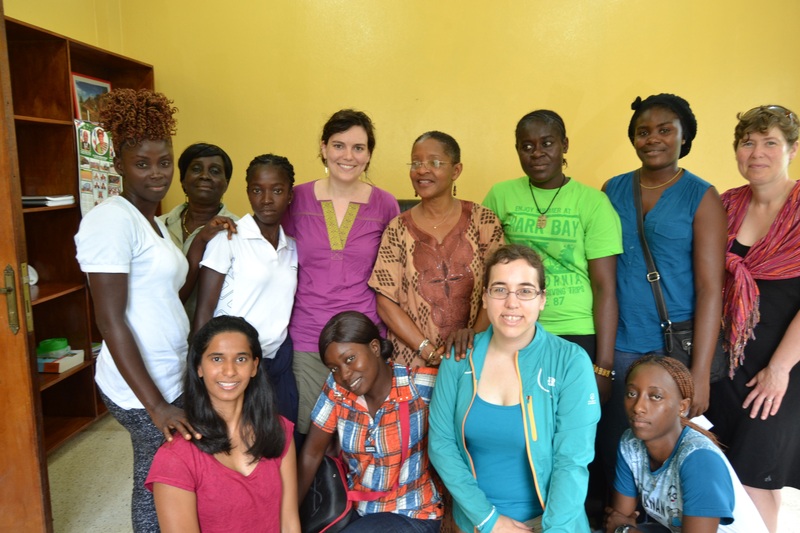 To see 50+ women engineers in one place in Liberia is a very special thing. The best comment of the night was from one student who said that she “had never been in an environment like this before” and that this was the happiest she had been in a very long time. It reminds me of how I feel every time I attend a SWE conference and am surrounded by hundreds or thousands of women engineers. The positive energy is overwhelming and creates a lasting joy. The dinner was a smashing success. It was so remarkable to see these young women network with professionals and see the professionals provide such good conversation and advice. We hope that this event was a catalyst for these students and we cannot wait to see where this positive energy will carry them. Greetings from Liberia! We are really enjoying working with the Liberia Society of Women Engineers (L-SWE) so far. Here is an update on what we’ve done. Note – we will add photos when we get a better internet connection. We flew into Robertsfield International Airport on Wednesday at around 3PM on Kenya Airways. We were on the same plane as Liberian President Ellen Sirlief. When we landed in Monrovia the flight crew addressed the plane as “Madam President and ladies and gentlemen.” She left the plane in a motorcade. Right upon arrival it was obvious that Ebola had visited Liberia. A large water container read “Ebola is Real.” We were required to wash our hands in chlorinated water and take our temperatures using IR no-touch thermometers before we went through immigration. After immigration, we were picked up by L-SWE students. They were fantastic and arranged the truck to pick us up. We drove to Monrovia and set up at our friend Emily’s apartment. She is a former peace corp volunteer and current NGO worker and has been super nice letting us stay with her. Wednesday night we took the students out to dinner at FuZion D’Afrique as a thank you for picking us up from the airport. It it was a great way to start off the trip. We handed out SWE UM sweatshirts (SWEatshirts) to the Liberian students too. Despite it being hot and downpouring, they all put them on immediately and loved them. As our first full day in Liberia, we spent the morning planning for the rest of the week. We got in touch with old friends and arranged meetings with new collaborators. With help and input from the Liberian students, we set the time and location for a “Professional Interactive Dinner” on Monday night for L-SWE students to network with local engineering professionals, educators, and influential supporters. The dinner will be Monday at 6pm at the same restaurant from Wednesday – FuZion D’Afrique. They have a private (air-conditioned!) space that can seat 50 people. We have been inviting as many female engineers as we can to this dinner in hope of creating valuable and lasting connections between the participants. Later in the day we met with an old friend and invaluable collaborator – Yark Kolva of E-HELD. E-HELD was one of the initial supporters of this project. We invited Yark to Monday’s dinner and he in turn provided us with additional people to contact. We will be using their conference room on Sunday to prepare the students for Monday’s dinner. It must be emphasized that the Liberian students are invaluable partners in this effort. They have been spending all day with us to plan the dinner and meet potential collaborators. We could not hope to do anything without them. We are here for them and they are ready to do remarkable things. Friday continued our efforts to invite people to Monday’s dinner. We drove out to University of Liberia in Fendal to meet with faculty and administration. We visited the lab space and chatted with the faculty. It is evident that the USAID funding is improving this school and providing the basis for practical engineering education. There is still much that needs to be done, but progress is being made. We met with the Dean of the College of Science & Technology, Dr. Ophelia Weeks, to discuss L-SWE and the networking dinner. She provided us with additional contacts and was supportive 110% of the collaboration. She offered to be a mentor for L-SWE and scheduled a meeting with L-SWE to talk about the future of the organization. After we returned to Monrovia, we began to work on addressing our research question of how does peer support influence academic and personal success of female Liberian engineering students. Exploring this question is allowing us to learn more deeply about the engineering culture in Liberia and how an organization like SWE can provide support. Our initial impressions on this is that there is a need here that SWE can indeed fill and provide resources to help these women Advance, Aspire, and Achieve. We are optimistic about the rest of this week and the future of the L-SWE and SWE at UM partnership. The women here are passionate about engineering and have the potential to revolutionize Liberia. We are privileged to work with them and be at the beginning of this initiative. Monday’s dinner and our research will greatly inform our next steps, but one thing is certain – the future of Liberia rests of the shoulders of these women and their allies.